Sony CP-SC10 Portable Charger Launched Considering Type-C Port Users In Mind. 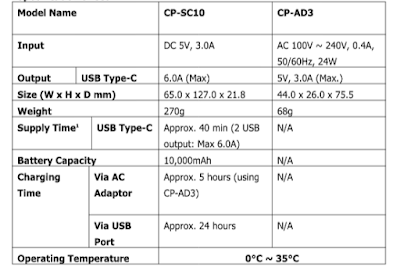 USB Type-C has caught a lot of heat recently, Not because of it's abilities for faster Data Transfer rates and Charging speeds, But because of many companies considering the fact of keeping USB Type-C port as the primary & final I/O port. It makes things both easier and bitter, Easier as you simply need to carry one cable for all your devices, Bitter as only one thing gets executed at a single time. But the thing which I've noticed while using current USB Type-C devices that they charge quite slow on existing portable chargers, more so likely due to charger's less output. So striking that, Sony today unveiled a New Portable charger having USB Type-C connection ports onboard. The all new Sony CP-SC10 portable charger, let's find out how it differs from conventional portable chargers. Sony CP-SC10 Portable Charger - USB Type-C Port. It comes with 2 USB Type-C ports, equipped with mini Type-C to Type-C cable & a Micro-USB to Type-C Cable. USB Type-C port helps to charge your devices at a much faster rate Since it has an output capacity of 3.0 Amps. It has a 10,000 mAh battery and Sony claims that the new CP-SC10 Portable Charger can retain up to 90% of battery after 1000 odd charges. Another surprise is that You can charge your CP-SC10 portable charger while simultaneously charging any other device connected to CP-SC10. But I won't suggest doing this in a long run, As this would affect the battery onboard heavily. There's a 4 LED light indicator on the side to let users know, how much juice gets left. Lastly, the Portable Charger CP-SC10 is available in two colors - Grey and Gold. Also, the Type-C Cables & Adapter are available in white color. It weighs 270g which is relatively lightweight. 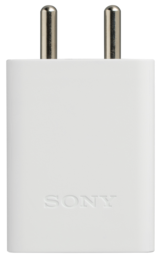 Sony has manufactured these Portable chargers using their proprietary Hybrid Gel Technology, which in theory helps in retaining up to 90% of battery after being used for up to 1000 times. 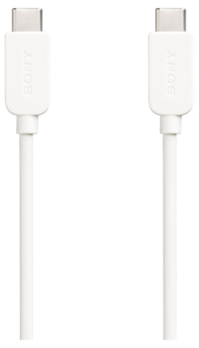 Sony says that it takes up to 5hrs to fully charge the CP-SC10 with a CP-AD3 Adaptor(USB Type-C to Micro-USB Charger), Whereas it might take up to 24 hrs to charge on a conventional USB port which is a bummer. So if you're willing to buy this, Make sure you get that Charger/Adapter too, Because both are available separately. Now lets head over to the price, The new Sony CP-SC10 costs Rs. 5,990 which is quite a lot, in my opinion, But anything can't be given a final judgement until it's actual real world usage. While the CP-AD3 Charger/Adapter costs Rs.2,390. So due to the charging speeds, it seems obvious to get this charger which makes it Rs.8,380 as a whole. I mean yes, there must be some Technological advancements in this portable charger for sure, But the charging speeds are an interloper on conventional USB ports. I have got an Ambrane Powerbank which has a 13,000 mAh Battery capacity it charges within 12hrs completely, While here we have 10,000mAh charging for 24hrs? Not cool. 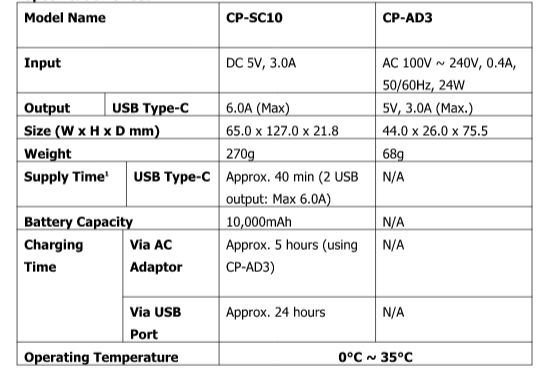 So it'll be interesting to see how the CP-SC10 sales go, As these new Chargers and Adapters would be available both Online and Offline starting today which is 15th September 2016. What are your thoughts about these? Let me know in the comments below. Links to Buy: It would be soon updated. Also See: Gionee S6 Pro Launched - Specs, Price and Availability.